Body Catalyst is excited to announce our new ground-breaking technology – Ulfit HIFU – a facelift without surgery. 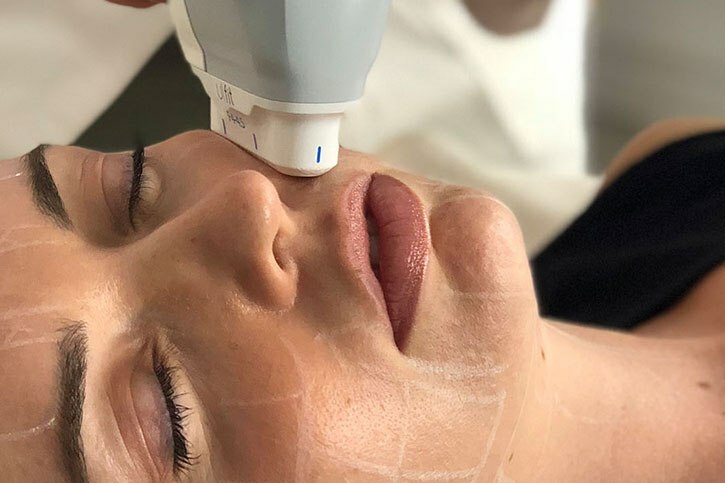 Ulfit emits a High Intensive Focused Ultrasound (HIFU), perfect for facial skin tightening and lifting, giving the ultimate non-surgical facelift. The latest and most advanced medical-grade skin tightening technology, Ulfit not only smoothes out wrinkles, but also gives the whole face a non-surgical facelift. How does HIFU work to give your face a lift without surgery? The technology works via micro-focused ultrasound which heats targeted tissue to 60 degrees. This causes the proteins in the tissue to coagulate and contract, causing an immediate reduction in wrinkles and skin laxity by triggering the production of collagen and elastin. What results can be expected after a HIFU non-surgical facelift? The Ultrasound technology reaches the SMAS (superficial muscular aponeurotic system) layer, the same muscles reached in cosmetic surgery. Results are achieved instantly, and continue over time. It is the closest look you can get to surgery without surgery! Book in your complimentary consultation with one of our therapists to discuss the benefits of Ulfit. Which Fruits and Vegetables Are Best to Buy Organic?